Edited by Karen Webber from the University of Georgia, published by Springer, 2018. 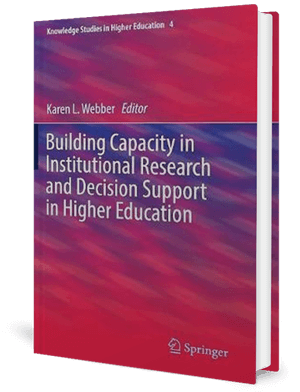 This book examines the relevant roles, skills and knowledge, needed to build the institutional research (IR) capacity across the higher education sector globally. With a focus on building the capacity of the IR profession, this book’s primary audiences include senior leaders who wish to introduce or strengthen their understanding for effective decision support, and staff members who are currently in decision support units and those who wish to serve in this capacity. Institutional Research and Decision Support in Higher Education: Considerations for Today and for Tomorrow – Webber, Karen L.
Conceptual Models for IR and Organizational Intelligence – Knight, William E.
The Need for and Value of Scholarship in Institutional Research – Borden, Victor M. H.
Building Capacity for Planning and Institutional Research – A View from Down Under – Calderon, Angel J. 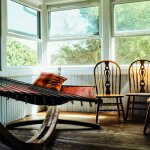 The Future of IR and Decision Support: Ensuring a Seat at the Table – Webber, Karen L.